The emergence of immune checkpoint inhibitors as an effective treatment strategy is a result of increased understanding of the elaborate relationship between tumor cells, their microenvironment and the host immune response. Laboratory and clinical data suggest that radiation therapy elicits immune-mediated anti-neoplastic effects locally as well as systemically. The coupling of external beam radiation therapy with immune checkpoint inhibition provides an opportunity for synergistic anti-tumor effects. 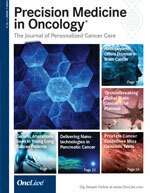 This approach has been explored initially among patients with solid tumors, however, as investigations into immune checkpoint inhibition have skyrocketed among all malignancies, the potential combinatory role of radiation therapy with immune checkpoint inhibition among patients with hematologic malignancies remains undefined. We explore the rationale, existing data, and future perspectives of combined modality therapy with immune checkpoint blockade and external beam radiation therapy among patients with lymphoma. Immune homeostasis is necessary to mount appropriate destructive immune responses towards threatening pathogens while limiting excessive responses towards host tissues that would result in autoimmunity. This is achieved via a highly regulated balance between T-cell co-stimulatory and inhibitory signals, which collectively are known as immune checkpoints. Immune checkpoints are essential for the maintenance of peripheral tolerance as well as the prevention of host tissue damage under circumstances of infection and inflammation. Immune suppressive checkpoint proteins have been identified that negatively regulate the immune system, resulting in suppressed T-cell inflammatory responses and prevention of autoimmunity (CTLA-4, PD-1, LAG-3, TIM-3, KIRs). Tumor cells can exploit these pathways and ultimately elude immunosurveillance by activating these checkpoint receptors via ligand over-expression resulting in T-cell exhaustion. Immune activating proteins have also been identified (4-1BB, GITR) and represent an additional viable therapeutic target. Through activation of co-stimulatory receptors, or antagonization of inhibitory signals, T-cell responses toward tumor antigens can be enhanced and represent an exciting cancer therapeutic strategy that is transforming the oncology world. Several investigations demonstrate the capacity for local radiation therapy to engender systemic (abscopal) anti-tumor effects that are immune-mediated. Radiation induced effects on tumor cells are complex and multifocal and have recently been reviewed in detail by Weichselbaum et al1. The local and distant immune responses elicited by radiation therapy can have disparate effects on tumor activity: resulting either in continued tumor growth or tumor cell death. The concept of improving anti-neoplastic activity of immune checkpoint inhibitors by conjoining them with radiation therapy has been explored in animal models and is the focus of ongoing clinical trials, mainly in the setting of solid malignancies. This strategy is also valid among patients with hematologic malignancies where innovative combination therapies to improve responses to immune checkpoint blockade are needed to expand the potential therapeutic benefit of immunotherapy. Hodgkin lymphoma is characterized by a small number of characteristic neoplastic Reed- Sternberg cells coupled with a dense ineffective inflammatory tumor microenvironment. In Hodgkin lymphoma, alterations of chromosome 9p24 that increase the expression of programed death receptor ligands 1 and 2 (PD-L1 and PD-L2) have been frequently identified and suggest that patients with HL may be uniquely positioned to derive benefit from program cell death receptor 1 (PD-1) blockade with immune checkpoint inhibitors.2,3 Green et al performed an integrative analysis of Hodgkin lymphoma cell lines and primary Hodgkin lymphoma tumor specimens,3 combining DNA copy number based on high-density single nucleotide polymorphism array and gene transcript data. Through this combined integrative analysis, PD-L1 and PD-L2 were identified as key targets of the 9p24.1 amplification. Furthermore, PD-L1 gene amplification was associated with enhanced PD-1 ligand expression among primary Hodgkin lymphoma tumors. In a study of 108 biopsy specimens from newly diagnosed patients with Hodgkin lymphoma, 97% of tumors had alterations of the PD-L1 and PD-L2 loci, either by copy gain (56%), amplification (36%) or polysomy (5%).2 Furthermore, 9p24.1 amplification was associated with shorter progression-free survival (PFS) as well as advanced stage disease. These findings taken together suggest a genetic basis for PD-1 pathway activity in classical Hodgkin lymphoma. 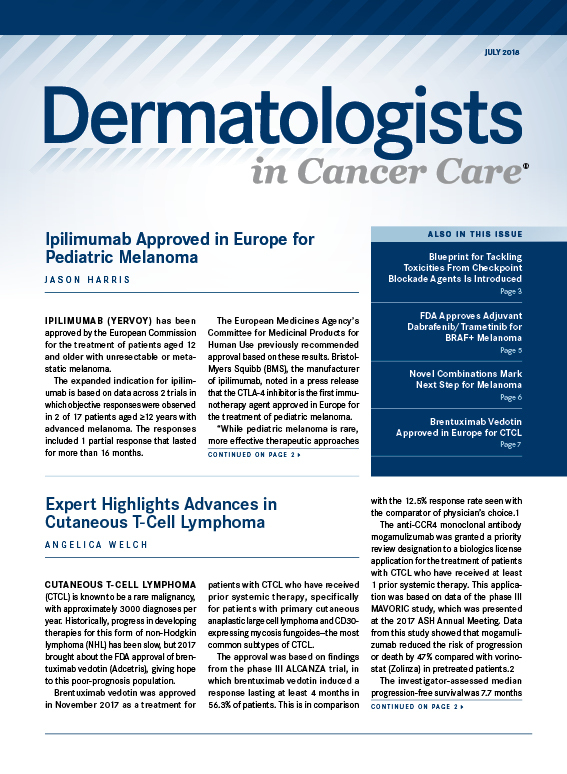 As a consequence of 2 single arm, multicenter trials, the FDA in May 2016 granted approval of nivolumab for the treatment of Hodgkin lymphoma that relapsed or progressed after autologous stem cell transplantation (ASCT) and post-transplant brentuximab vedotin (an antibody–drug conjugate that targets CD30). A phase I study of 23 patients treated with single agent nivolumab (Checkmate 039, NCT01592370) for relapsed and refractory Hodgkin lymphoma reported an overall response rate (ORR) of 87% and a complete response rate of 17%. The rate of PFS at 24 weeks was 86%.4 In the phase II study of 80 patients with relapsed and refractory classical Hodgkin lymphoma that progressed after ASCT and treatment with brentuximab, the ORR was 66% and the complete response rate was 9%.5 In March of 2017, pembrolizumab was approved for the treatment of relapsed and refractory Hodgkin lymphoma among pediatric and adult patients that have failed 3 or more lines of therapy based on a non-randomized multicenter trial of adult patients [KEYNOTE-087, ClinicalTrials.gov identifier NCT02453594].6 A total of 210 patients were treated on 3 cohorts that were defined based on progression of Hodgkin lymphoma (cohort 1: progression after ASCT and brentuximab vedotin; 2: progression after salvage chemotherapy and brentuximab and therefore ineligible for ASCT or 3: ASCT without posttransplant brentuximab). Among all patients the ORR was 69% (95% CI, 62.3% to 75.2%) with a complete response rate of 22.4% (95% CI, 16.9% to 28.6%). The median duration of response was not reached among all 3 cohorts with median follow-up of 10.1 months. Three quarters of patients had a response that lasted at least 6 months (75.2%). Treatment was generally well tolerated with the most frequent consequential adverse events being hypothyroidism (12.4%) and pyrexia (10/5%). Grade 3 and 4 therapy-related adverse events were rare and included neutropenia (2.4%), diarrhea (1%) and dyspnea (1%). Pneumonitis occurred in 2.9% of patients and was grade 1 or 2. No grade 3 or 4 pneumonitis occurred. Immune-related complications have been reported in long-term follow up of patients on Checkmate 039 and 205 that underwent stem cell transplantation after anti–PD-1 therapy.7 In a post hoc analysis of 266 patients on both trials, 17 patients underwent allogeneic hematopoietic stem cell transplant after therapy with nivolumab. Acute graft versus host disease (GVHD) occurred in 82% of patients. Six of the 17 patients died and all deaths were due to non-relapse related causes, including GVHD in 5 and pulmonary toxicity in one additional patient. There were no deaths due to progression of Hodgkin lymphoma. 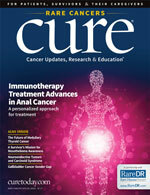 In an effort to improve complete response rates and enhance response duration in this patient population, several studies are ongoing combining PD-1 blockade with other agents with known activity in Hodgkin lymphoma including brentuximab (ClinicalTrials.gov NCT02572167) and ibrutinib (ClinicalTrials.gov NCT02940301). Radiation therapy is associated with high response rates in primary and refractory disease and represents a logical approach for combination therapy with immune checkpoint manipulation. A recent report of a patient with refractory Hodgkin lymphoma who was enrolled in a phase 1 trial of pembrolizumab (ClinicalTrials.gov NCT01953692) describes an abscopal effect after local radiation administered concurrently with pembrolizumab.8 The patient experienced stable disease after roughly 1 year of immune checkpoint therapy but then developed progressive supra- and infra-diaphragmatic disease. A symptomatic right hilar lymph node was radiated (30 Gy in 10 fractions) in-between 2 pembrolizumab infusions. Upon completion of therapy, disease regression was noted in irradiated as well as the non-irradiated sites. This report highlights the potential of radiation to augment and prolong anti-tumor responses among Hodgkin lymphoma patients treated with immune checkpoint inhibitors. 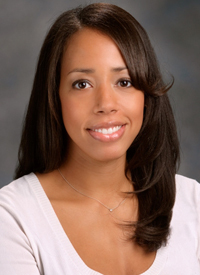 An ongoing study at Memorial Sloan Kettering Cancer Center is evaluating the potential synergy of external beam radiation therapy and pembrolizumab among patients with early stage relapsed or primary refractory Hodgkin lymphoma (ClinicalTrials.gov NCT03179917). 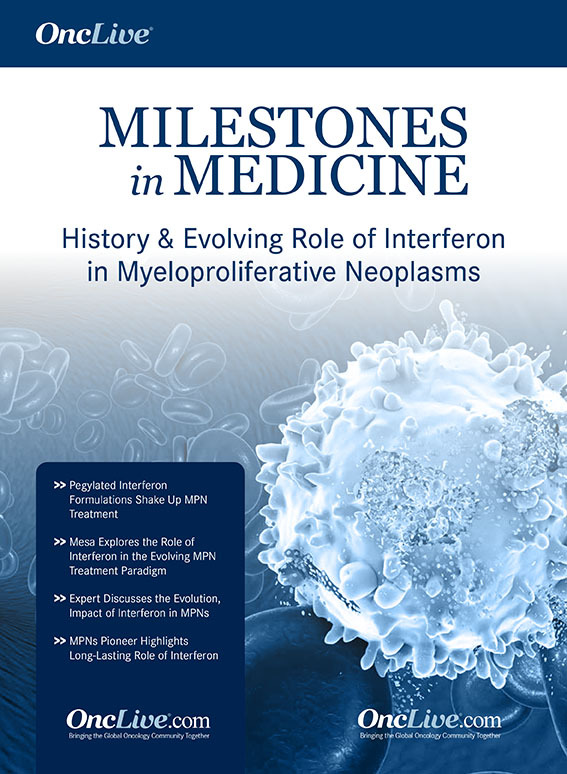 In this study patients with early stage disease who were initially treated with chemotherapy alone and developed limited stage relapse or had primary refractory disease will be treated with 4 cycles of pembrolizumab followed by involved site radiation therapy (ISRT). Patients with early stage disease who were initially treated with combined modality therapy are also eligible if the disease relapse was outside of the initial radiation field. 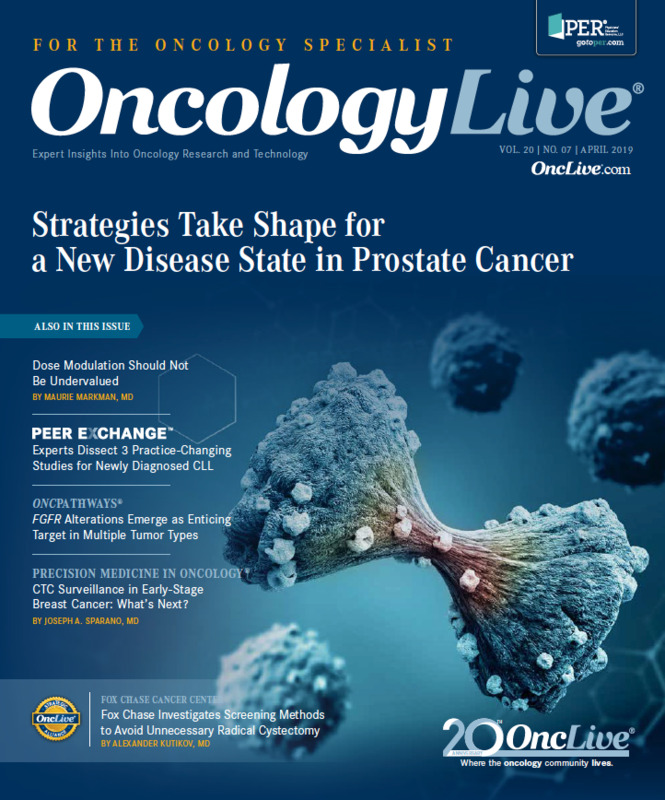 This strategy, if successful, has the potential to offer patients an alternative treatment approach to standard salvage therapy with high dose chemotherapy and ASCT. 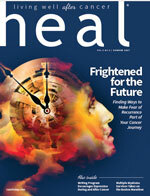 Future trials have been proposed by the German Hodgkin Study Group to evaluate the combination of anti-PD-1 antibodies and external beam radiation therapy in the frontline setting for patients with early stage Hodgkin lymphoma.9 Patients with favorable early stage Hodgkin lymphoma will be randomized to receive 20 Gy of ISRT either concurrently with 6 cycles of anti-PD1 antibody therapy or sequentially. This interesting study will shed light on the influence of the timing of radiation therapy in relation to anti PD-1 therapy and its effect on safety and efficacy. 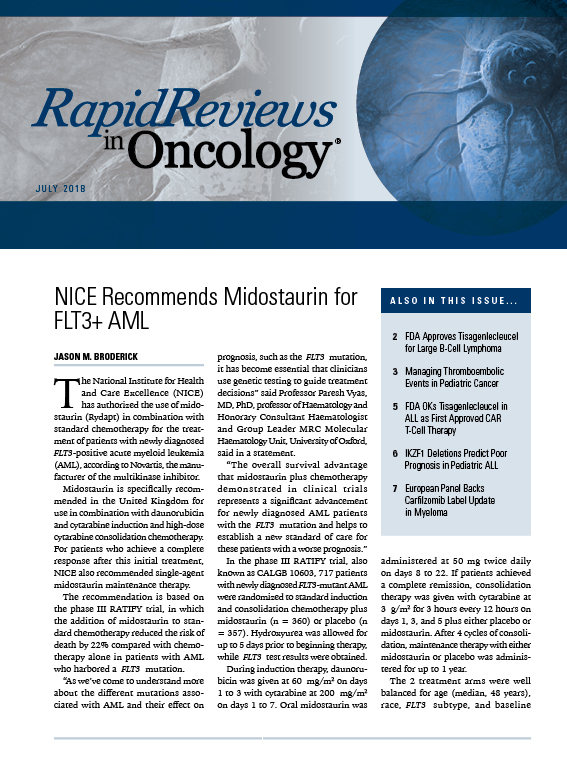 Higher risk patients with early stage unfavorable HL will be considered for a distinct randomized trial combining chemotherapy that includes doxorubicin, vinblastine and dacarbazine with nivolumab (NIVAHL) followed by 30 Gy of ISRT. Non-Hodgkin lymphoma (NHL) represent a diverse group of hematologic malignancies with distinct pathologic, molecular and clinical characteristics of B- or T-cell origin. 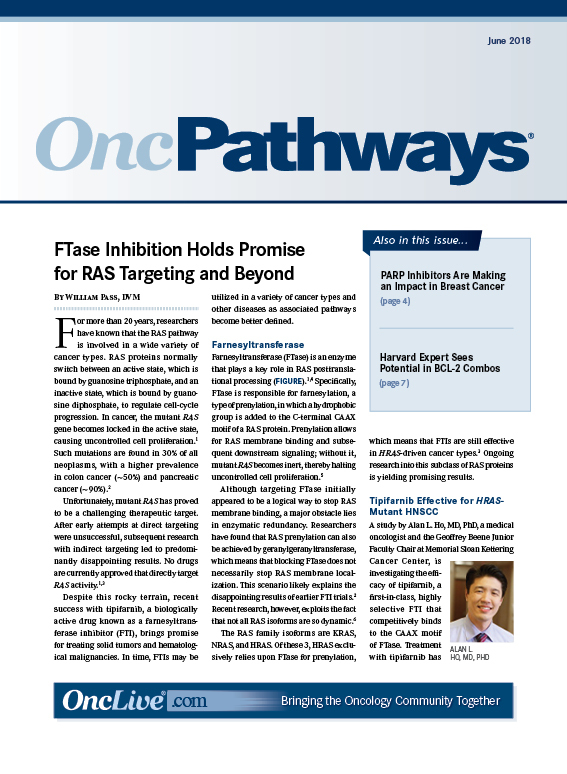 Outcomes are also heterogeneous but have improved with the introduction of targeted therapy. Specifically the anti-CD20 antibody rituximab has improved response rates and survival among patients with B-cell NHL. Brentuximab has shown promise among patients with classical Hodgkin lymphoma as well as T-cell lymphoma. 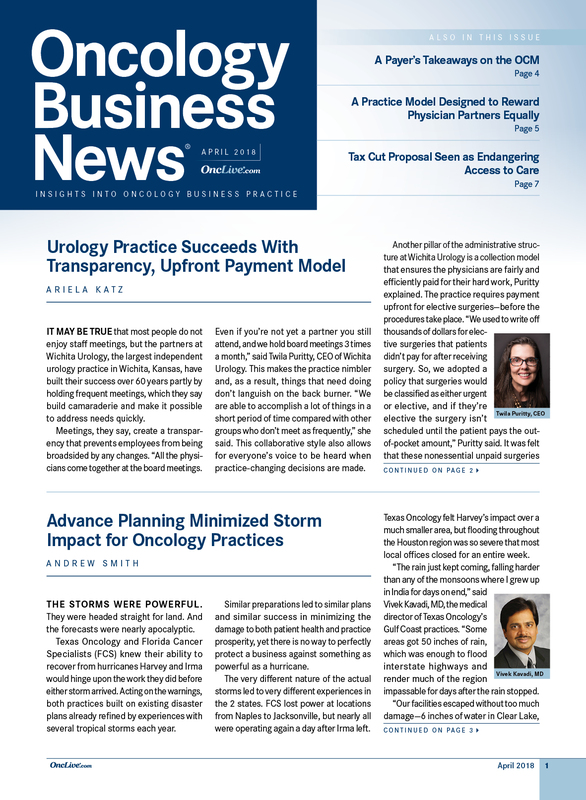 Patients with relapsed and refractory NHL, however, still pose a therapeutic challenge. High dose chemotherapy and ASCT is an option, but is typically reserved for patients with chemosensitive disease. Patients with lymphoma that is refractory to cytotoxic chemotherapy have severely limited treatment options. While PD-L1 overexpression is common in classical Hodgkin lymphoma, it is variable in NHL. One study that analyzed PD-L1 expression in lymphoma cell lines and biopsy specimens found that PD-L1 expression was limited in diffuse large B-cell lymphoma (DLBCL) and was mainly restricted to the non-germinal center B-cell (GCB) type.10 In another study of 273 patients with DLBCL, PD-L1 positivity was limited to 11% of samples and was associated with non-GCB type and Epstein-Barr virus positivity.11 On the other hand, there are other subsets of NHL with higher rates of PD-L1 overexpression, including primary mediastinal B-cell lymphoma, T-cell rich large B cell lymphoma, plasmablastic lymphoma, primary central nervous system lymphoma, testicular lymphoma and extranodal NK/T cell lymphoma.12-14 These data suggest that some subsets of NHL may be susceptible to immune checkpoint blockade based on robust PD-L1 protein expression. Creation of an in-situ vaccination through utilization of low dose radiation therapy and immune stimulation has been explored among patients with low-grade B-cell lymphoma. Brody et al combined an intra-tumorally injected Toll-like receptor 9 (TLR9) agonist with local radiation therapy to a single tumor site among 15 patients with low-grade B-cell lymphoma.15 A single nodal site was radiated to a dose of 4 Gy in 2 fractions just after the first TLR9 agonist injection. The intratumoral injections were administered again after the last fraction of radiation therapy and weekly for 8 weeks. Clinical responses were determined at distant, un-irradiated sites. One patient had a complete response to therapy, 3 patients experienced a partial response and an additional 2 patients had stable disease that continued to regress. A similar approach was reported by Kolstad et al on the Lymvac-1 trial (NCT01926639).16 In this study of 14 patients with untreated or relapsed advanced stage follicular lymphoma, a single follicular lymphoma nodal site was treated with external beam radiation therapy to a single fraction of 8 Gy in addition to intra-tumoral injection of low-dose rituximab, immature dendritic cells, and granulocyte-macrophage colony stimulating factor. This treatment was administered to each patient an additional 3 times to distinct lymph nodes. Five of 14 patients (36%) had an objective clinical response. Systemic CD8 T-cell immune responses were positively correlated with reduction in nodal tumor volume. It is hypothesized that ionizing radiation to sites of tumor results in immunogenic tumor cell death and promotes enhanced tumor antigen presentation to T-cells.17-19 In the ongoing Lymvac-2 trial being conducted at Oslo University Hospital (ClinicalTrials.gov NCT02677155), the same approach utilized in Lymvac-1 will be carried out but with the addition of pembrolizumab in an effort to increase clinical responses. Figure 1. Combined external beam radiation therapy and pembrolizumab result in complete regression of DLBCL refractory to 4 lines of therapy. Figure 1a, b axial PET-CT and scout image at the time of diagnosis of DLBCL prior to therapy. Figure 1 c, d axial PET-CT and scout image after 4 lines of systemic therapy with disease progression. Figure 1 e, f axial PET-CT and scout image after radiation therapy to 46 Gy with concurrent pembrolizumab illustrating Deauville 2 response. While many recent studies combining radiation therapy with immunotherapy have been aimed at identifying and defining abscopal rates outside of the radiation field, this combined modality strategy may also have promise in improving local control and decreasing rates of systemic relapse. Among patients with refractory NHL treated with salvage radiation therapy alone, there is an opportunity to improve outcomes by adding a systemic therapy. 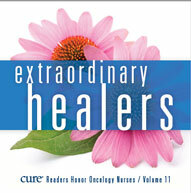 In a retrospective study from the Dana-Farber Cancer Institute of 110 patients treated with a course of salvage radiation therapy for relapsed or refractory aggressive NHL, the overall response rate was 86% among patients treated with curative intent and 84% for those treated with palliative intent.20 Among living patients, the 5-year rate of PFS, however, was only 34%. Furthermore even among patients treated with curative doses and doses of at least 40 Gy, local control at 2 years was only 61%. 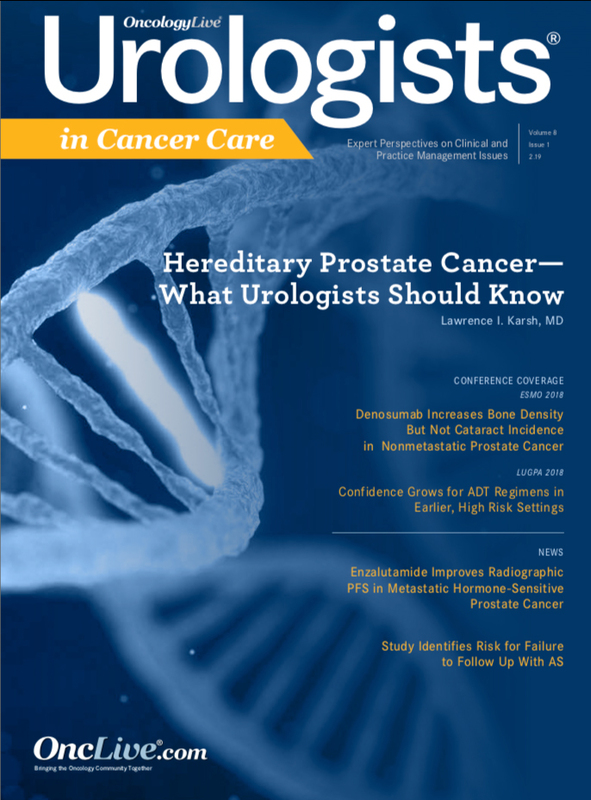 This study underscores the unmet need for effective systemic therapies to pair with salvage radiation therapy and highlights the room for improvement in long term local control for patients with refractory NHL that may be accomplished with concurrent radiation therapy and immune checkpoint manipulation. A 49-year old patient initially presented with a pleural effusion and dominant left lung mass involving the chest wall, pleura, and lung and causing dyspnea and left phrenic nerve paralysis with biopsy of the mass revealing DLBCL (Figure 1a, b). Initial bone marrow biopsy was negative and the patient received 6 cycles of R-CHOP with a complete response to therapy. Unfortunately disease recurrence occurred locally in the thorax 2 months later. Subsequently, the patient was treated with several lines of therapy including rituximab plus etoposide, cytarabine, cisplatinum and methylprednisolone (R-ESHAP), rituximab, ifosfamide, carboplatin, etoposide (R-ICE), and a dual histone deacetylase (HDAC) and PI3K inhibitor, all with continued disease progression in the thorax (Figure 1c, d). The patient was then treated with pembrolizumab concurrent with external beam radiation therapy to a dose of 46 Gy with deep inspiration breath hold and intensity modulated radiation therapy (figure 2a, b). Her post–radiation therapy PET-CT scan revealed a complete metabolic response to therapy with a Deauville score of 2 (Figure 1e, f). She continues on pembrolizumab and 12 months after radiation therapy she remains in complete remission. A phase II trial at MD Anderson is ongoing to evaluate the efficacy of concurrent pembrolizumab administered concurrently with low to moderate dose external beam radiation therapy among patients with relapsed and refractory NHL (ClinicalTrials.gov NCT03210662). Trials such as these will evaluate whether radiation therapy can successfully cooperate with immunotherapeutic agents to enhance anti-tumor efficacy. Figure 2. Axial (a) and Coronal (b) images of the intensity modulated radiation therapy plan administered with breathhold technique to a dose of 46 Gy in 2 Gy fractions. 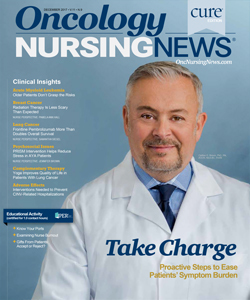 This is an exciting time in oncology. Immunotherapy has unleashed a myriad of new treatment approaches for patients with Hodgkin and non-Hodgkin lymphoma. Innovative combination strategies offer great promise in releasing the true anti-neoplastic potential of immune checkpoint blockade. Several unanswered questions remain regarding the potential role of radiation therapy in this setting including the appropriate dose, fractionation, target volumes, and timing of radiation therapy with immune checkpoint inhibition. Well-designed trials coupled with essential correlative serum and tumor biopsy studies are necessary to provide adequate data to address these unknowns. Weichselbaum RR, Liang H, Deng L, Fu YX. Radiotherapy and immunotherapy: a beneficial liaison? Nat Rev Clin Oncol. 2017;14(6):365-379. Roemer MG, Advani RH, Ligon AH, et al. PD-L1 and PD-L2 Genetic Alterations Define Classical Hodgkin Lymphoma and Predict Outcome. J Clin Oncol. 2016;34(23):2690-2697. Green MR, Monti S, Rodig SJ, et al. Integrative analysis reveals selective 9p24.1 amplification, increased PD-1 ligand expression, and further induction via JAK2 in nodular sclerosing Hodgkin lymphoma and primary mediastinal large B-cell lymphoma. Blood. 2010;116(17):3268-3277. Ansell SM, Lesokhin AM, Borrello I, et al. PD-1 blockade with nivolumab in relapsed or refractory Hodgkin's lymphoma. N Engl J Med. 2015;372(4):311-319. Younes A, Santoro A, Shipp M, et al. Nivolumab for classical Hodgkin's lymphoma after failure of both autologous stem-cell transplantation and brentuximab vedotin: a multicentre, multicohort, single-arm phase 2 trial. The Lancet Oncology. 2016;17(9):1283-1294. Chen R, Zinzani PL, Fanale MA, et al. Phase II Study of the Efficacy and Safety of Pembrolizumab for Relapsed/Refractory Classic Hodgkin Lymphoma. J Clin Oncol. 2017:JCO2016721316. Armand P ZPL, Collins G.P., Cohen J.B., Halwani A.S., Carmelo Carlo-Stella, Michael M. Millenson, Mariano Provencio, Eva Domingo Domenech, Lisa Giulino Roth, Luca Castagna, Kazunobu Kato, Mihaela Popa McKiver, Anne Sumbul, Lili Zhu and Armando Santoro. Outcomes of Allogeneic Hematopoietic Stem Cell Transplantation (HSCT) after Treatment with Nivolumab for Relapsed/Refractory Hodgkin Lymphoma. Paper presented at: American Society of Hematology2016; San Diego, CA. Michot JM, Mazeron R, Dercle L, et al. Abscopal effect in a Hodgkin lymphoma patient treated by an anti-programmed death 1 antibody. Eur J Cancer. 2016;66:91-94. Baues C, Trommer-Nestler M, Jablonska K, et al. Short review of potential synergies of immune checkpoint inhibition and radiotherapy with a focus on Hodgkin lymphoma: radio-immunotherapy opens new doors. Immunotherapy. 2017;9(5):423-433. Andorsky DJ, Yamada RE, Said J, Pinkus GS, Betting DJ, Timmerman JM. Programmed death ligand 1 is expressed by non-hodgkin lymphomas and inhibits the activity of tumor-associated T cells. Clin Cancer Res. 2011;17(13):4232-4244. Kiyasu J, Miyoshi H, Hirata A, et al. Expression of programmed cell death ligand 1 is associated with poor overall survival in patients with diffuse large B-cell lymphoma. Blood. 2015;126(19):2193-2201. Chapuy B, Roemer MG, Stewart C, et al. Targetable genetic features of primary testicular and primary central nervous system lymphomas. Blood. 2016;127(7):869-881. Twa DD, Chan FC, Ben-Neriah S, et al. Genomic rearrangements involving programmed death ligands are recurrent in primary mediastinal large B-cell lymphoma. Blood. 2014;123(13):2062-2065. Chen BJ, Chapuy B, Ouyang J, et al. PD-L1 expression is characteristic of a subset of aggressive B-cell lymphomas and virus-associated malignancies. Clin Cancer Res. 2013;19(13):3462-3473. Brody JD, Ai WZ, Czerwinski DK, et al. In situ vaccination with a TLR9 agonist induces systemic lymphoma regression: a phase I/II study. J Clin Oncol. 2010;28(28):4324-4332. Kolstad A, Kumari S, Walczak M, et al. Sequential intranodal immunotherapy induces antitumor immunity and correlated regression of disseminated follicular lymphoma. Blood. 2015;125(1):82-89. Galluzzi L, Kepp O, Kroemer G. Immunogenic cell death in radiation therapy. Oncoimmunology. 2013;2(10):e26536. Demaria S, Bhardwaj N, McBride WH, Formenti SC. Combining radiotherapy and immunotherapy: a revived partnership. Int J Radiat Oncol Biol Phys. 2005;63(3):655-666. Kim KW, Kim SH, Shin JG, et al. Direct injection of immature dendritic cells into irradiated tumor induces efficient antitumor immunity. International journal of cancer Journal international du cancer. 2004;109(5):685-690.